Considering purchasing the Pioneer DDJ-SR2 DJ Controller? Have questions? Ask people who've recently bought one. Does this controller have support for Rekordbox 5 and/or Virtual DJ 8??? Yes it supports Rekordbox 5, I would say if it is not already supported by Virtual DJ 8 it will be very soon. Do you own the Pioneer DDJ-SR2 DJ Controller? Why not write a review based on your experience with it. Good product, high build quality also performes great. So far love this controller can not wait to fully get to grips with all its features. This is good for djs on all levels. Small, light, & compatible for the mobile dj. Never failed me during any sets and Iâ€™m pretty rough on the decks! Great piece of kit to use. Fast delivery from DJkit also. Very happy with order great service and prompt delivery. Excellent service as usual from DJ Kit, as for the DDJ SR2, what a piece of kit. 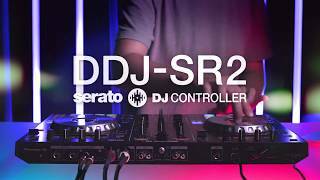 I already own a DDJ SZ and the SR2 is just a slimmed down version of SZ and is perfect for the DJ on the move. Best experience ever! Really powerful piece of equipment and I've told all of my dj buddies about it! 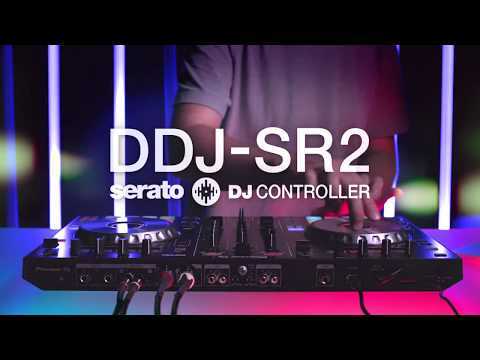 Seen a video for Pioneer DDJ-SR2 DJ Controller online or have you own video? Check out Pioneer DDJ-SR2 DJ Controller on DJkit.com!